We are proud to announce that the 6th Sardinian Summer School ‘From GWAS to function’ will take place in the Polaris Technology Park, Pula (CA), Italy, June 12th – 16th, 2017. We believe that the Summer School will create an exciting forum dedicated to the cover state-of-the-art theory and practice of the approaches to the identification of the genetic bases of human diseases, in particular related to complex and monogenic traits. Prof. Giovanni Romeo Professor of Medical Genetics at University of Bologna Medical School – Director of the European School oF genetic Medicine. The course will use a combination of lectures and demonstrations with a heavy emphasis on hands-on data analysis, which requires students’ active participation. The focus will be on making maximum interaction with teachers and the creation of useful contacts with the other participants. The workshops will use programming languages, applicable tools and web-based portals to analyze high-throughput genotyping and sequencing datasets covering the different topics of the course (low pass and deep coverage whole genome DNA, statistical methods for imputation, analysis of exome, quantitative and qualitative analysis of the transcriptome, epigenome and other related issues). Good spoken and written English is essential for all Summer School lectures and workshops. Therefore, participants are asked to bring their laptop computers. Venue: Polaris Techno Park – Pula (CA), Italy (http://www.sardegnaricerche.it/en/technologypark). The Technology Park is located in the territory of Pula, in the hinterland of Cagliari, close to the South-Western coast of Sardinia. The city of Pula has about 7000 inhabitants, but in summer it becomes a destination for some 45,000 tourists, attracted by the clearness of its sea and the spectacle of its vegetation, in many areas still harsh and primitive. Once a center dedicated to agriculture, Pula has grown enormously over the years, becoming one of the major tourist centers of southern Sardinia. 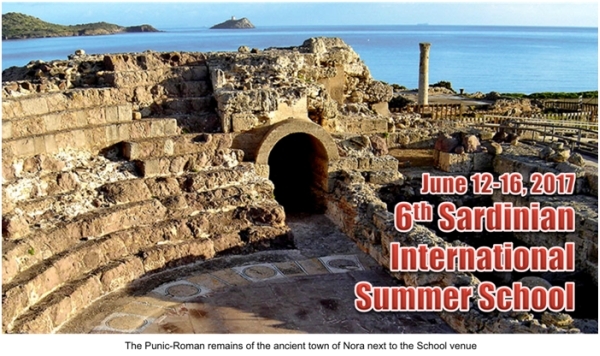 A few kilometers from the city of Pula there is Nora, one of Sardinia’s most important archaeological sites dating back to the Phoenician time. Cagliari is the most important city of Sardinia, with a metropolitan area of about half a million inhabitants. The capital of the island has a soul consisting of a millenary history, culture, nature, beach tourism and night life, an attractive mix that fascinates the visitor, charmed by the views of Castello, the ramparts and the Roman remains, the Sardinian sea, as well as by the dynamism of a surprisingly lively city. Cost: The course is funded by the Regional Sardinian government and registration will be free of charge for all attendees. Registration includes course material, lunches and coffee breaks (not accommodation expenses – see below). Free shuttle services will be provided from Cagliari Elmas Airport to the hotel and from the hotel to the Polaris Technology Park Auditorium. Travel and accommodation expenses are to be covered by the attendees. Accommodation: Faculty and students will stay at hotels located near the seaside, a few kilometers from the Polaris Technology Park. A very special rate has been agreed with the Local Organizing Committee. All rates include breakfast and dinner and free transfer to and from the Summer School venue. You’ll be lodged at the hotel Flamingo (www.hotelflamingosardinia.com) and the hotel Mare Pineta (http://www.marepinetahotel.com/) located in front of the sea at few kilometers from the Polaris Technology Park. The rate for a double standard room occupancy (to be share with another participant) is € 72,00/per night per person. All rates include breakfast and dinner and free transfer to and from the Summer School venue. To actively participate in the School, participants are invited to submit an abstract for review by the Scientific Committee. 2) Decide on the final form of presentation. The abstracts must be submitted only in English, not exceed 350 words (Including author information, affiliation details and title). The title of abstract should be maximum 20 words. • The title should be bolded, initially capitalized and centered above the abstract text. • The text should be single-spaced, with Arial font, size 10, non-bolded. • The first author name should be selected as Presenter. • The tables and figures cannot be included.